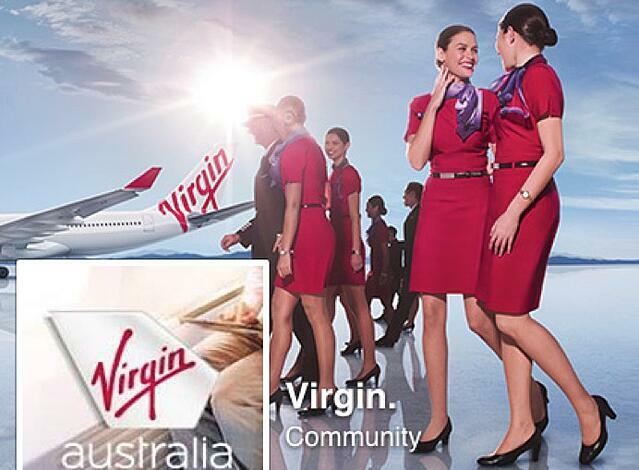 This summer, “Virgin Airlines” kicked off an out of this world, fabulous promotion. 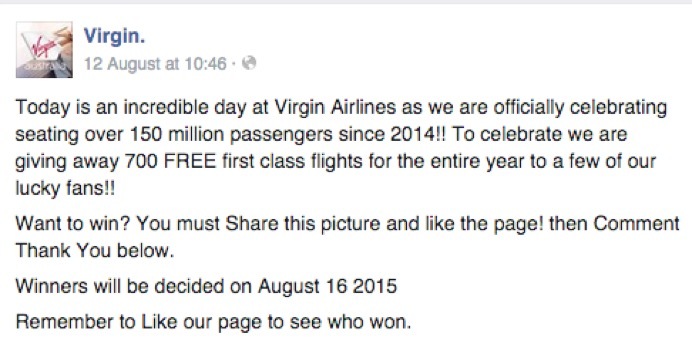 Via Facebook, it offered the chance to win free flights for a year for 500 fans. Posted on a ‘Virgin’ Facebook Community site, the promo racked up tens of thousands of likes and shares in just a few days. Sure. What's not to like about hundreds of free flights? A lot actually. The Virgin Airlines offer was bogus. It didn’t come from Virgin but from a scammer. It’s just one, prominent example – and not the first for the Virgin brands – of an increasingly common Facebook scam dubbed ‘like farming’. Other brands caught up in like farming run the gamut from Apple – free Macs anyone? – to Quantas. Like the Virgin fakes, these other scams are also notable for their telltale ‘too good to be true’ offers. These pages may seem innocuous, purposeful even. Not all are fakes. But as with dodgy brand pages, many are set up only to serve the needs of the scammers who create them – to raise as many likes and shares as possible in the shortest amount of time. The technique of the so-called like farmer is this: Once the fake page reaches a high enough page rank, the scammer clears its content. Since Facebook’s algorithms value page popularity, the like farmer simply replaces the high ranking content with something else, which could be an ad for scam products or even malware. Or, he may go on to sell the page to another scammer – sometimes to use in another like farming scam. And so on it goes. For its part Facebook says it tries to ensure that high quality content ‘surfaces’ for users. It monitors for posts that seem to be focused only on driving up traffic, and reserves the right to remove links and pages that violate its policies. For brands, this is definitely one to watch out for. Like farming is on the rise as scammers seek to exploit the goodwill of your loyal customers for their own gain. « Previous post Calling All Star Brands at Social Media Week London!